Carmine D'Aversa and Cassandro win largest and final Chicago Equestrian Derby for 2017. Photo Andrew Ryback Photography. Roscoe, IL - Sept.1, 2017 - The Illinois Hunter Jumper Association (IHJA) B Finals were held at Ledges Sporting Horses August 24-27, 2017 featuring the coveted IHJA B Medal Finals and the Chicago Equestrian Hunter Derby series awards. 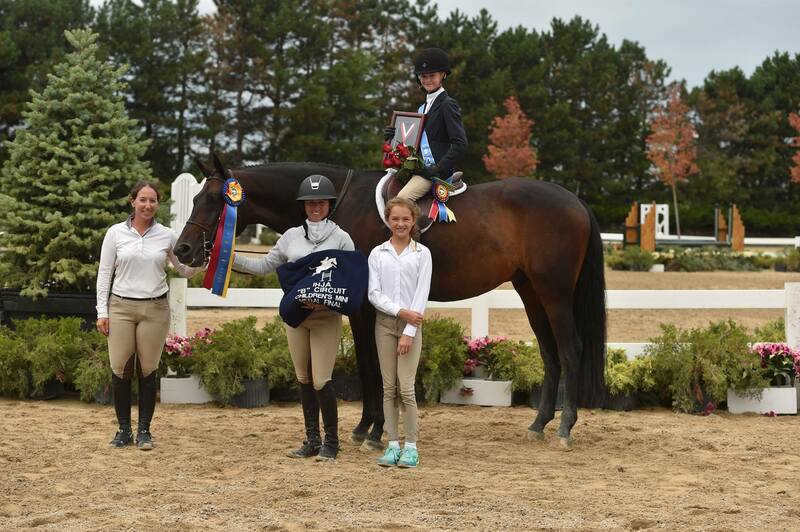 Showplace Productions once again did not disappoint exhibitors by providing amazing end of the season awards and great courses for the special competition. The Ledges facility is “home” for many Chicago area exhibitors and has earned the hash tag #weloveledges for good reasons from friendly office staff and hospitality to grand awards and presentations. Colleen Johnson's Tortuga ridden by Mara Kranz-Olseng earned the title of the Leading Horse in the Chicago Equestrian Derby Series 2017. Kranz-Olseng also rode to the Leading Professional Rider of the series. 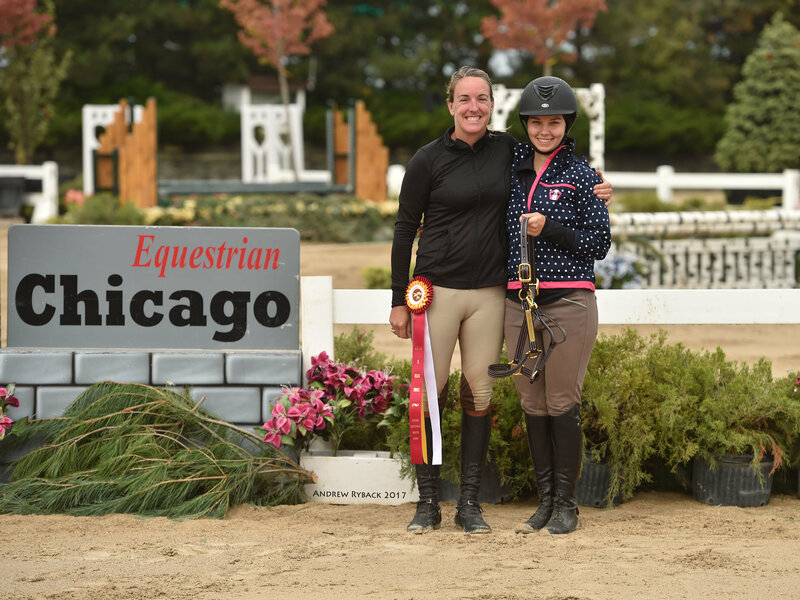 Sunday kicked off with the largest and final Chicago Equestrian Hunter Derby of 2017 won by Carmen D’Aversa and Perfecta Farm's Cassandro. The derby series runs throughout the season on the B circuit and allows riders to have a derby experience at heights that they are able to compete at. The derby offers 2’, 2’6” and 3’ fence heights and includes a classic round and a handy round, with the competitors that participate in the series earning year-end awards. Cindy Triscari and trainer Jennifer Welhouse accept the award for the Leading Amateur Rider in the Chicago Equestrian Derby Series 2017. 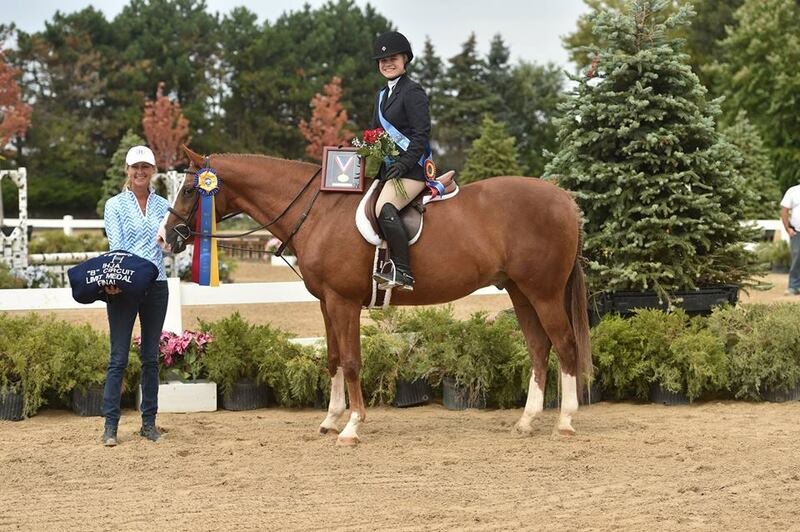 Tortuga, owned by Colleen Johnson and ridden by Mara Kranz-Olseng received the award for the Leading Horse in the derby series and Kranz-Olseng rode to the top of the leader board for the leading Professional Award. Also collecting Walsh British Halters were Cindy Triscari for the Leading Amateur Rider in the series and Natalie Bertoglio received the Leading Junior Rider Award. Special thanks goes out to Showplace Productions for hosting the derby series throughout the season. Natalie Bertoglio with trainer Mara Kranz-Olseng accept the award for the Leading Junior Rider in the Chicago Equestrian Derby Series 2017. Heading into the medal finals competition, riders navigated the tough courses in the Grand Prix ring to earn the tri-color awards. Caileigh Widmayer aboard Cisco Kid won the IHJA Limit Medal Final. 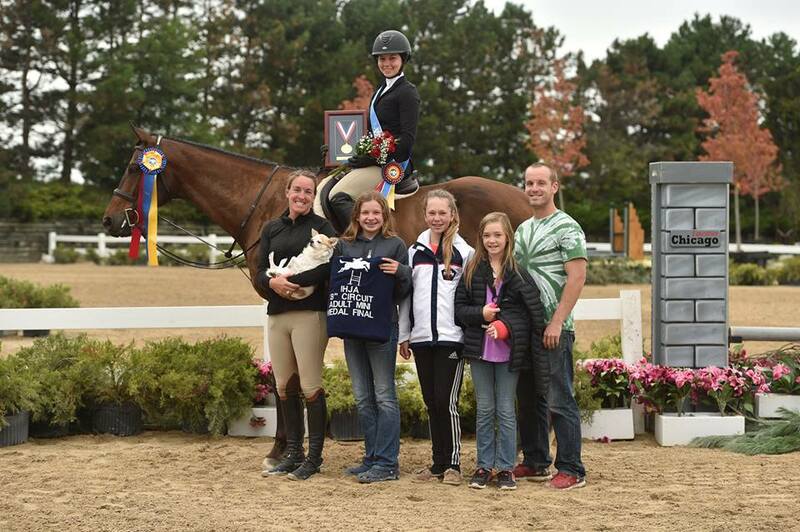 Aerin Hopkins on Batchelor Party won the IHJA Beginner Medal Final. 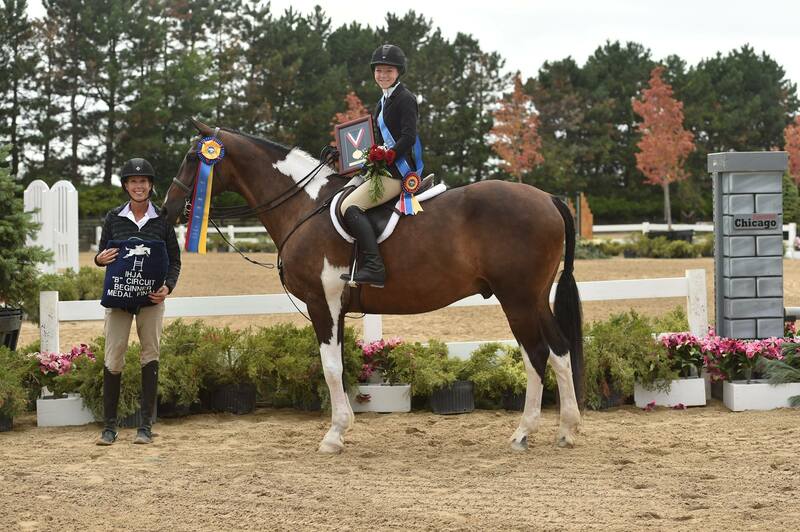 Cindy Triscari and Deuce won the IHJA Adult Mini Medal Final. 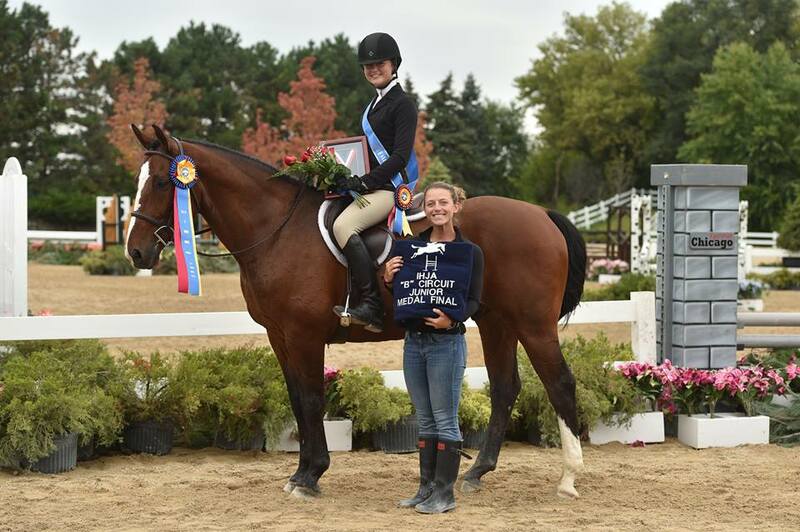 Natalie Bertoglio and Hayward won the IHJA Children's Mini Medal Final. 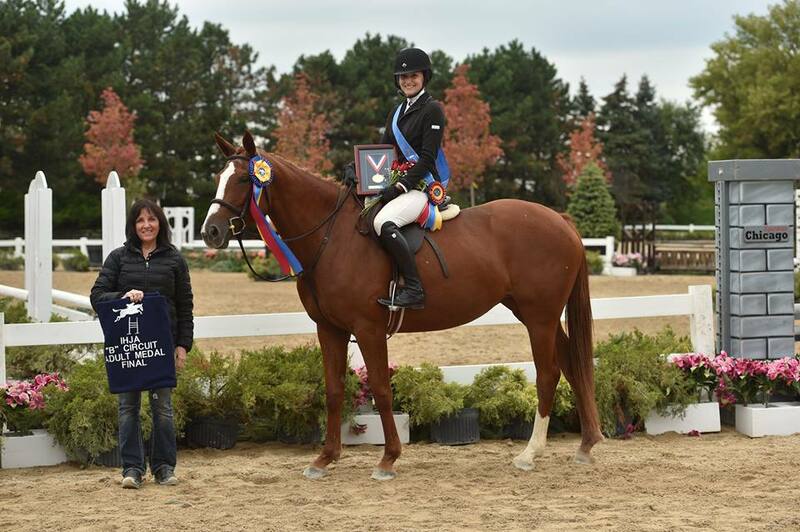 Rebecca Williams and Roc-ette RJC won the IHJA Adult Medal Final. 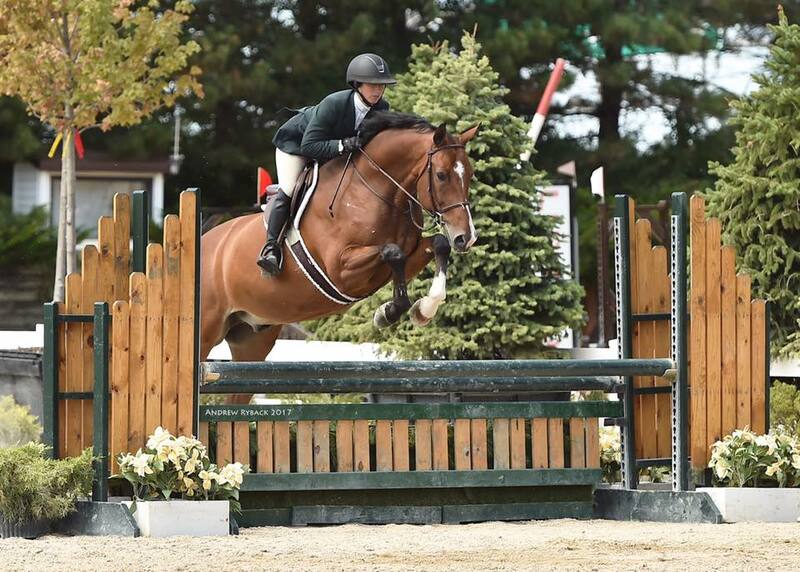 Olivia Goodwin aboard The Honorable Don Carloss earned the top spot in the IHJA Junior Medal Final. Showplace Productions features The IHJA A Medal Finals, Zone 5 Horse of the Year Championships, Midwest Marshall & Sterling Finals and the NCEA Medal Finals at Balmoral Park September 13-17, 2017. 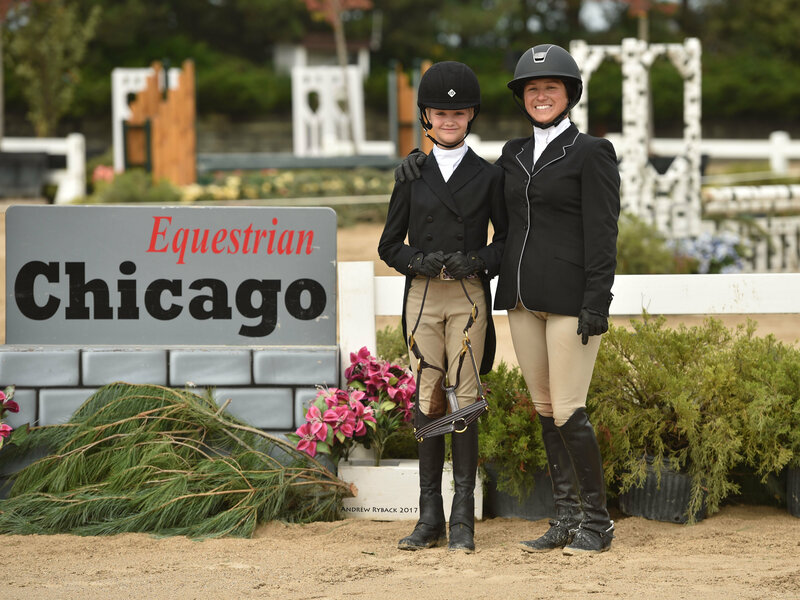 For more information on the Chicago Equestrian Hunter Derby Series contact info@ChicagoEquestrian.com. For a schedule of IHJA A and B circuit shows, visit www.ShowplaceProductions.com. All photos by Andrew Ryback Photography. Thank you Andrew Ryback Photography for supporting the industry and supplying your fantastic photos throughout the season. To order these great photos visit www.andrewryback.com.